Gimmicks are rife in the kitchen aren’t they? I think all of us have at some point been seduced by the latest gadget that has become popular. Sometimes they are great and you can’t imagine life without them and sometimes they languish in the back of the cupboard never to see daylight again. The Lékué bread maker has an odd look about it. 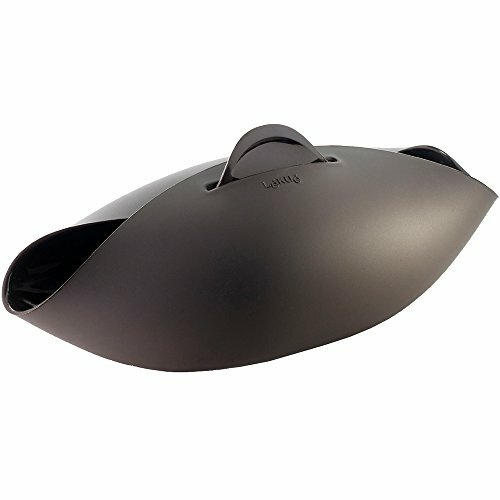 It’s made of a brown silicone and it’s intriguing as to how it will actually help you make bread in any way that is better than traditionally. I found that the simplicity of the product is what makes it a winner though! Basically it’s a one stop shop to make your bread. You start with adding your ingredients to it, mix it up, knead it and then leave it in the container/bowl to prove. Once proved it can be kneaded and proved again or it can be placed directly in the oven to bake in situ. The basic design of the Lékué bread maker is that it’s like a collapsible silicone bowl. This means that you can use it to do all the mixing and kneading of the dough. You can place it on your scales easily to weigh the ingredients and it contains it all nicely. You could possibly use a hand mixer with a dough hook or just knead traditionally by hand. The bowl design is very flexible and can be folded together to form a cocoon around your bread dough. It fixes together at the top by putting one side through the slit on the other. By doing this it turns in to a nice proving basket. Just cover with a tea towel and put in a warm place. Once you’ve proved the dough as much as you need you keep the bread maker in it’s cocoon shape and place it directly in the oven. This has the added benefit of not moving the dough too much. It then cooks inside the bread maker and the shape helps to direct steam to the right places meaning you get a nice crusty loaf. The bread maker is made of a strong platinum silicone and comes in a dark brown colour. It’s oven safe, can be used in a microwave and it’s extremely sturdy. I think this would last a long time. It’s easy to clean and easy to remove your cooked bread at the end of the baking session. As well as giving my own reviews I really like to check out the internet to get a more general view of what people have said about this product. On Amazon UK it has an average of 4.4 out of 5 stars and comes with a mostly positive outlook. Many people have had great success with making loaves when they struggled with making them before hand. It makes nice crusty loaves that have an oval shape. 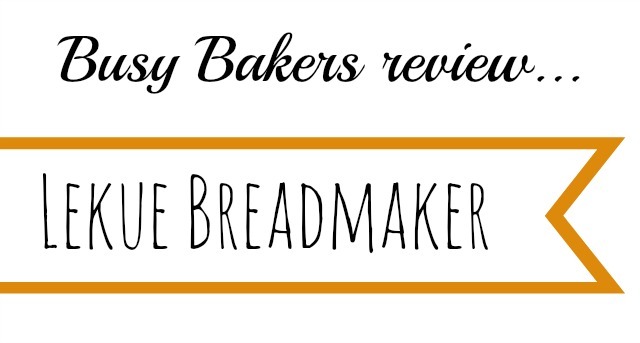 As always you might need to try out a few recipes to get the perfect loaf for you. The negatives of the product are that it isn’t so good for gluten free baking as the shape doesn’t help with getting a good loaf. There are also others that say it isn’t as good as the bread they had made before.